Growing a fine selection of organic vegetables for over 30 years. Located in the back woods between Athens, Brighton, Solon and Bingham, our gardens reflect the natural lifestyle to which we are committed. We strongly believe in growing and providing only the best food for our customers. Good Food for the Planet. Six generation family farm on 18 acres with 57 different varieties of apples, peaches, pears and plums. We specialize in antique apple varieties. Pick your own at the farm from Sept. 1 through Thanksgiving. One Drop Farm grows the widest selection of vegetable and herb seedlings in our region. Hundreds of varieties from Tomatoes, Peppers, Eggplants and Herbs to Celery, Leeks, Squash, Greens and more; rare heirlooms to reliable standards. Our plants are certified organic by MOFGA and inspected by the state of Maine. They are sold in plant-able pots (pots you plant right in the ground) and recycled 6-packs and are grown in a living, biologically-diverse, compost-based medium. We offer pre-ordering in the early spring and grow for farms. Check out pictures and descriptions of our seedlings in our online catalog at http://onedropfarm.com/seedlings. You can find us at the Skowhegan Farmers’ Market every Saturday from May until mid-June. Located just 5 miles from Skowhegan in Cornville, Maine, you can also shop our nursery during the week – look to our website for hours and directions. We are Steelbow Farm, a small certified organic, diversified vegetable farm run by just two people, four hands, and a lot of gumption. We grow food because we love to eat and because we believe community is built around the table, a shared meal. We currently have about an acre in production, on leased land in Norridgewock. We use low-till practices, mindful of the importance of our soil's health. We believe steadfastly in the merits of agrarianism, and in the power of local economies. Farming is good, hard, honest work. We are deeply satisfied with our pursuit and sleep well. We find inspiration in the long resilient history of our forebearers working the land. We focus on bringing high quality, just-harvested, beautiful food to market. We specialize in fresh eating greens and salad fixings, but our stand will be stocked with a wide variety of fruiting crops, roots and alliums as well. We are extremely excited to be new members of the Skowhegan Farmers Market community! We run a small bake shop in the mountains of western Maine where we strive to make both healthful and delicious products for you. You can expect hi quality ingredients, primarily organic with some local ingredients. We specialize in sourdoughs and yeast breads as well as Bavarian pretzels and cookies. We looking forward to seeing you at market each week the market is open. It’s like having a personal chef! Customize your own meal from a variety of menu items from The Maine Meal. Owners, Mark & Kelly LaCasse run a licensed food processing facility in downtown Skowhegan. 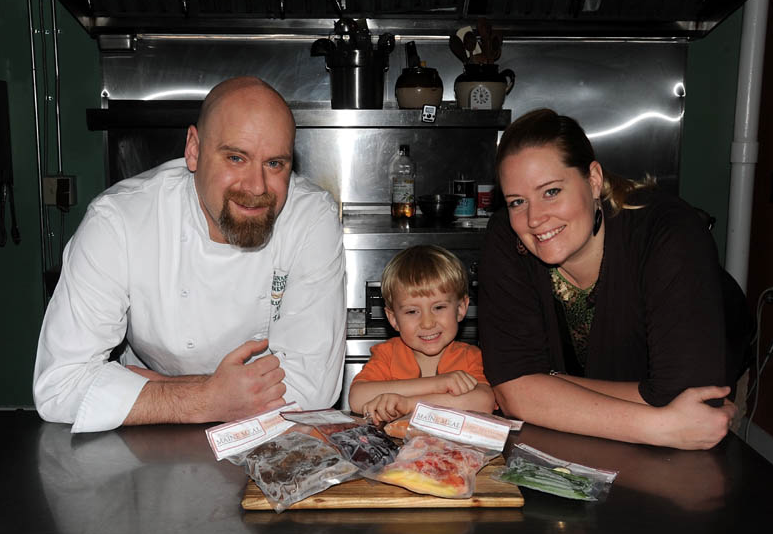 Specializing in prepared, frozen cuisine featuring locally sourced ingredients, Mark & Kelly have designed a line of gourmet menu items that will appeal to lifestyles of all kinds. Choose from beef, chicken, seafood, pasta and whole grain vegetarian main dishes, accompanied by delicious side dishes and soups. These “boil-in-bag” menu items are portioned for lite eaters, one adult, or two adults. Perfect for health conscious individuals and busy families on the go; stock your freezer today, you never know when you will need one in a pinch! Visit our Facebook page “The Maine Meal” for menu updates and ask to see our local supplier list which included vendors in this farmers market!PRE-ORDER MARKET PICK-UP: Contact Mark via phone to reserve your order and it will be ready for pick-up at the market. Moodytown Gardens is a diversified farm located on 75 beautiful acres of land in Palmyra. We focus on raising pastured pork, mixed vegetables, and cut flowers. Our vegetables and flowers are grown using organic methods but are not certified. Our pigs are fed locally milled grain, loads of vegetables, and are fed two hot meals a day through the winter months.Our ongoing mission is to build a farm business that sustains our family, provides our customers with affordable and high quality food, and fosters a stronger local economy. Sawyer’s Maple Farm is a small family owned and operated business that was started in January 2010. Located in Somerset County, (The largest Maple Syrup producing county in the United States) our Maple farm is nestled in the foothills of Boundary Bald Mountain of Moose River, Maine. We strive to supply our customers with the highest quality pure Maple Syrup and syrup products available. Our syrup is made using the most evolved technology in the industry. Be assured you are purchasing tasty, delicious maple syrup that is 100% pure and natural. “Maine made, the way syrup oughta be!” We sell maple syrup, maple cream, maple sugar, maple granola and maple candy. Sky fall Flowers follows the rhythm of nature by growing without pesticides or harsh chemicals and selects only the freshest heirloom, unique and traditional blooms for market. Our dedication for growing seasonal flowers shows in our attention to detail in every bouquet made. Only quality flowers and foliage are offered at Skyfall Flowers. Collective Root focuses on growing organic heirloom vegetables as well as gourmet and medicinal mushrooms. Our farm philosophy is one in which all things are connected, everything has a place and all things have a cause and effect. We try to represent this by nurturing symbiotic relations of all life on our farm. This entails copying natural processes whenever we can through the many different techniques of organic growing. Our goal in doing so is to provide you with the most deliciously nutritious produce nature has to offer. Hope to see you at the market! Eight years ago, some may say it started out with a Crooked Face cow. Though truly, the devotion to cheese craftsmanship, to local dairy farms, and to giving back to the community began shortly after Amy Rowbottom was born to a milk making family in Norridgewock, ME. Raised with the steadfast work ethic and deep gratitude that comes from dairy farming, Amy might have spent some time away but her family heritage was quick to call her back up North. That’s where the herd with the funny-faced Jersey cow came in, and the thoughtful (though wholly unexpected) process of perfecting a line of whole milk cheeses took hold. Amy is now hard at work creating a unique mix of award winning cheeses and sells them at farmers’ markets, specialty shops, bakeries and farm to table restaurants across the state. All cheeses are handcrafted with high quality local whole Jersey milk, no preservatives, and limited ingredients, and often specially cold-smoked, for the creamiest, richest flavor and texture. It’s Amy’s way of giving back—to her local farmer friends and her hometown community—in the very best way she knows: really, really good cheese. Crooked Face Creamery also offers Grass Fed Angus Beef, including burger, stew meat, hearty soup bones, roasts, short ribs, steak tips, Ribeye, T-Bone, Porterhouse, Filet Mignon, NY Sirloin, and other specialty cuts upon request. Abraham’s Goat Farm & Creamery is a family-owned-and-operated goat farm in Newport, Maine, offering the freshest farm-to-table food, including meat, milk, eggs, and cheese. You’ll know what you are eating when you purchase food from our farmer’s market. We are a small family farm located in Cornville. 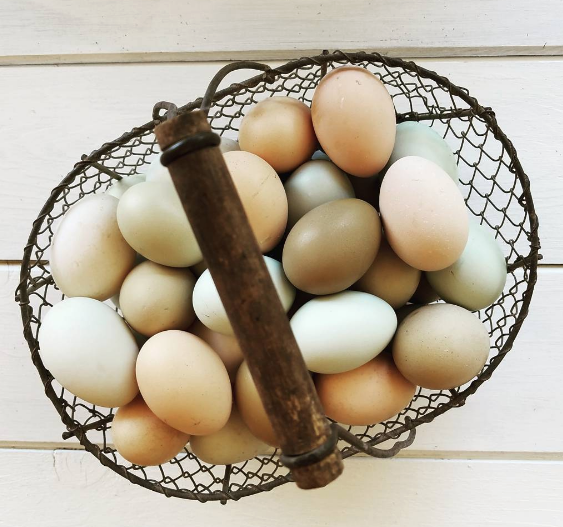 We will be selling fresh eggs and meat birds at the Skowhegan Farmers' Market. We opened the farm up in November 2017. I have been working with chickens since I was a young child. I had all types of breeds but as I gained wisdom I narrowed it down to one breed. Lakenvelder. They are a heritage breed that would much rather forage for their food then eat grain. I was stationed in Germany where I found two awesome mentors who taught me everything about Lakenvelders. Both farmers and breeders of heritage Lakenvelder. I purchase my grain fresh from Feed Commodities out of Detroit Maine. I then ferment the grain for 4 days to give the chickens a full dose of probiotics and 100% digestible nutrients. The rest is up to the hens. They have 19 acres of grass, bugs and nutrient filled soil to range on. In addition to Lakenvelders I do have some mixed layers, ducks and geese. In the future I would sell duck/geese eggs as well as meat if customers are interested. I do not have my setup ready to raise meat chickens such as broilers yet but do have a dual purpose breed (Augsburger) that dresses out at 4-6 pounds. Should have some ready end of summer. I am a firm believer in making sure all my animals are afforded the best life even if they will be food. Correct space and freedom are very important. 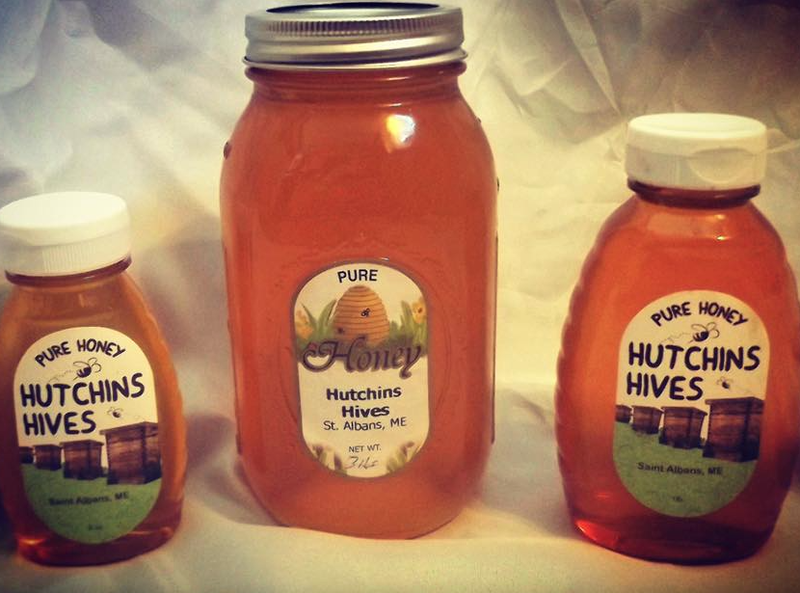 Hutchins Hives is a family business that started with 2 hives eight years ago. Although growth has been slow and the learning curve high, we are currently at 30 hives and hoping to grow from there. Our products at the present time are liquid raw honey and comb honey. We are working on adding products like lip balm and creamed honey and more in the future. Hatch Poultry Farm provides a fantastic assortment of gamebirds and backyard poultry, featuring some of the more unique varieties.